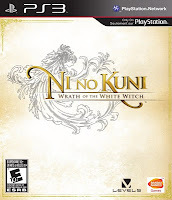 "Ni no Kuni: Wrath of the White Witch" is a beautiful new video game born of collaboration between video game company Level 5, animation studio Studio Ghibli, and composer Joe Hisaishi. Along with the rich fantasy storyline, endearing characters, sweeping music, and intuitive and engaging game play, the addition of an amazing array of foods for characters and familiars alike completes the recipe for a truly sumptuous gaming experience. 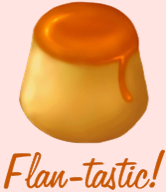 Today I'm featuring "creamy flan", one of the many foods available for your familiars, specifically to increase their defense, that you can obtain throughout the game via gifts, foraging, or defeating creatures. 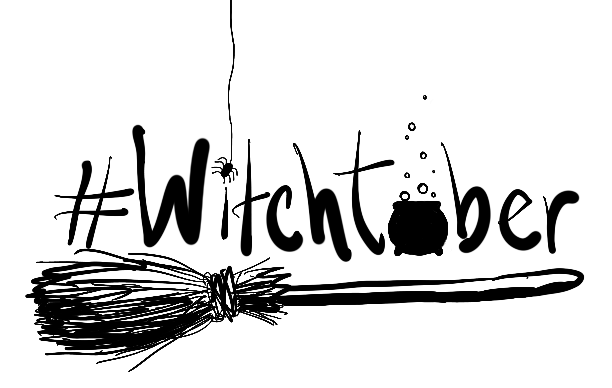 You can also create it on your own using your handy alchemy pot and genie. 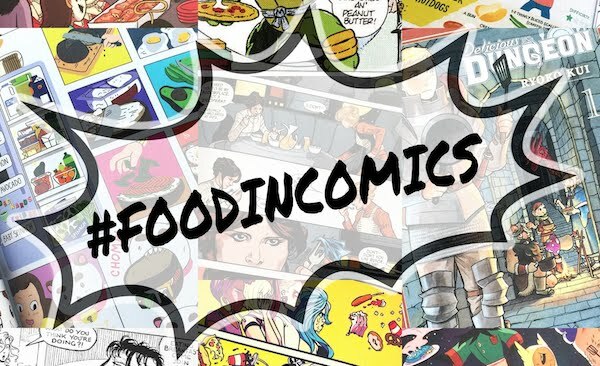 But now you can make it for realz in your kitchen! 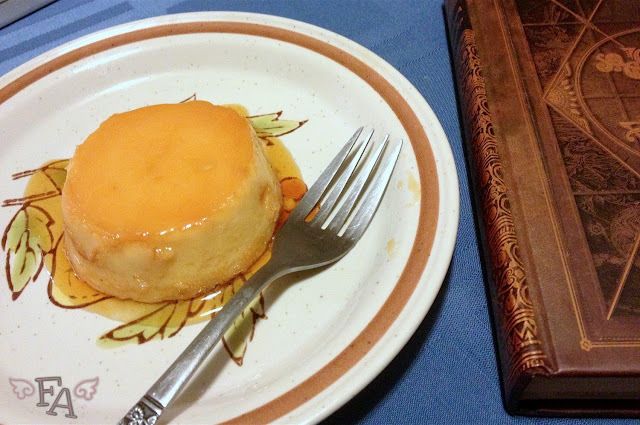 Note: Because this flan is supposed to be a step up from regular flan and is specifically call "creamy flan", cream cheese is included in the recipe below. And as you can see from the in-game recipe above, honey needs to be included, so in the recipe below, honey is used for what will become the top of the flan. For the basic, 4-ingredient (including cinnamon) flan recipe, watch the video here. ✿ Preheat the oven to 350°F. Make sure the rack is in the middle position. ✿ Put 5 cups of water into a sauce pan & bring to a boil while you're doing the next few steps. ✿ In a blender combine condensed milk, evaporated milk, cream cheese, eggs, & vanilla extract. ✿ Blend on medium speed until thoroughly mixed (no more chunks of cream cheese) but not frothy. ✿ Pour the contents of the blender into the ramekins, over the honey. ✿ Carefully place the baking dish with the full ramekins into the oven & bake for 30-35 minutes. 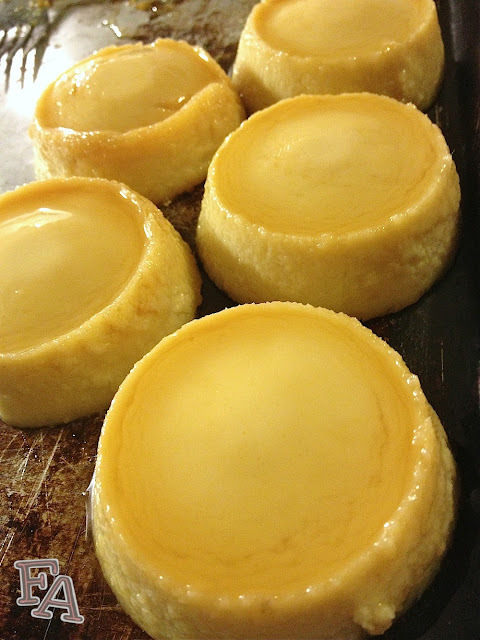 ✿ To test for done-ness, insert a toothpick into the center of one of the flans. It should push in & slide out easily & clean. If the flan is not finished, continue baking & check every three or four minutes. ✿ Place the ramekins on a wire rack to cool for 20-30 mins. To speed up the process, you can put the rack with the ramekins on it in the freezer. 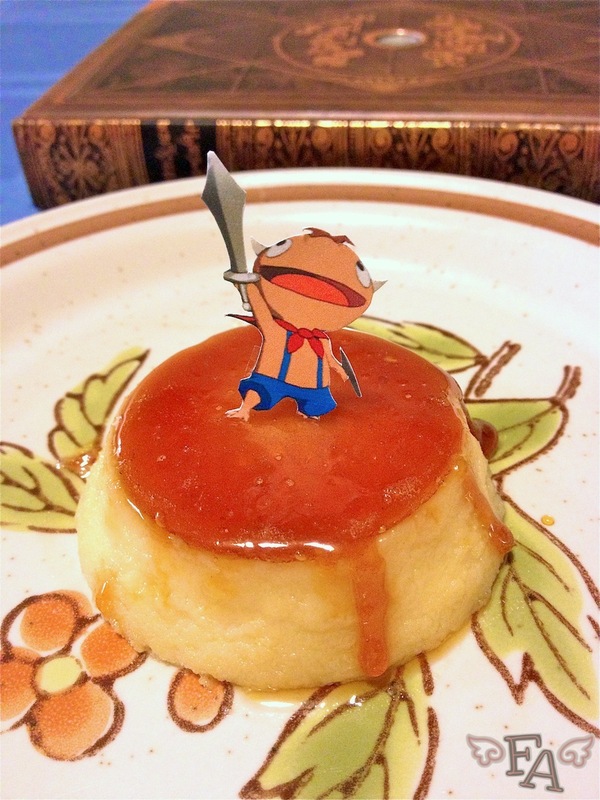 ✿ Once cool, slide a sharp little knife around each flan to separate it from the sides of the ramekin. ✿ Place a plate over the top of each ramekin in turn, invert it & shake it gently so the flan falls gently onto the plate. It the flan doesn't fall out immediately, allow the ramekin to remain inverted on the plate until the flan drops. ✿ Cover the flans & refrigerate for several hours before serving. The flans will thicken & become creamier as they cool. They are especially good the next day. * this recipe makes a lot of flan mixture, so get ready to use as many little baking dishes as you can. You can also use a cake pan. To use a muffin pan, make sure you have a baking dish large enough to place the muffin pan in. The pan doesn't need to reach the bottom of the baking dish, but the boiling water you put in the baking dish should come up to the bottom of the muffin cups. When you're ready to remove the flans from the muffin pan, & after you've run a knife around each flan, place a cookie sheet over the pan & invert it. Tap the muffin cup bottoms & wait for the flans to drop. ♥ the boiling water goes in before filling the ramekins so that the water temperature will keep the honey in the next step from becoming solid too quickly. ✭ you can also do this with granulated sugar. ♦ instead of caramelizing the honey, you can simply pour the honey (non-heated) directly into the ramekins & continue the recipe from there. This will give you a honey liquid & pale to light golden flan tops when all is done (see below). ✿ Check out my Tikka Mahala Curry & Familiar's Salted Ice Cream! Hi! 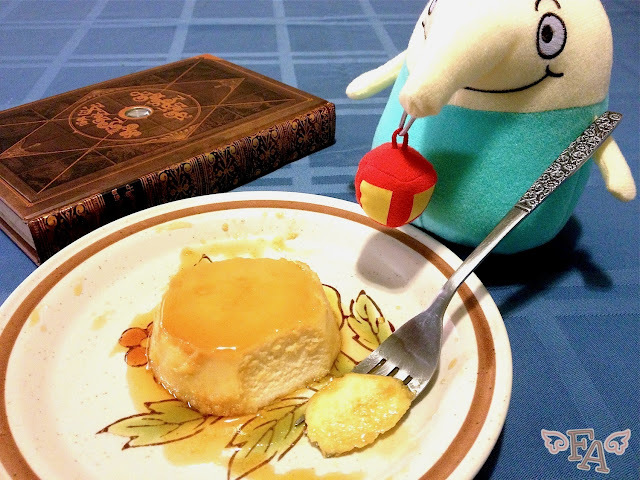 I've done your Purin recipe several times now, and decided to try this one since I had the ingredients around. I was wondering why in this recipe, there is no need to strain or spoon off bubbles, or wrap the tops in aluminum foil? Are the reasons related? Right now I have them in the oven with aluminum foil (I forgot the Al foil once in the Purin recipe, and it came out with a bumpy looking surface, was hoping to avoid it this time), but was worried since I never took off the bubbles in the first place, perhaps the air will have no where to go, and ruin the recipe.